The QPHY-HDMI2 Test Solution provides a highly automated and easy-to-use solution for HDMI transmitter testing in accordance with Version 2.0 of the HDMI Compliance Test Specification (including testing for version 1.4 devices). Often, compliance testing is a very difficult task. The user must make the necessary connections between the oscilloscope and the device under test, manually configure the oscilloscope for the appropriate measurement, perform the test procedure as specified by the test specification, record the results and finally compare the results to the appropriate limit in the compliance specification. QPHY-HDMI2 does many of these steps for you automatically. 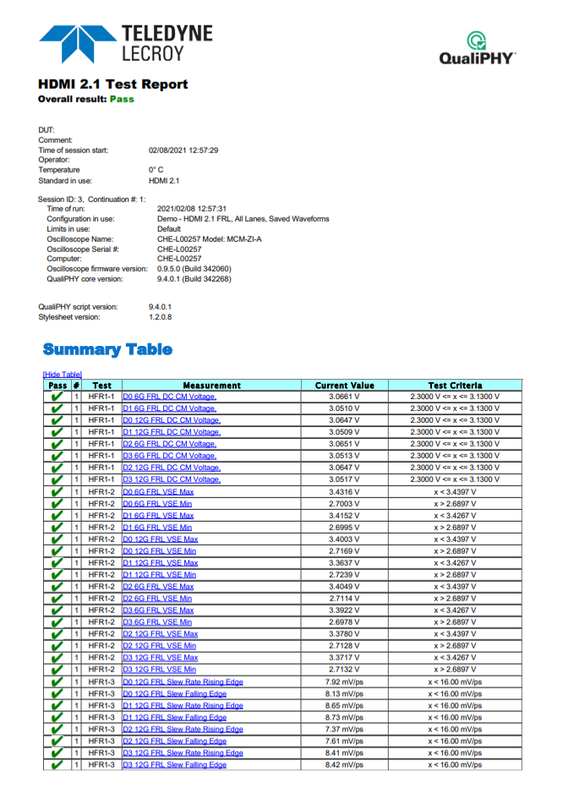 When the tests have been completed, QualiPHY creates a comprehensive report in HTML and/or PDF format. The report contains a high-level summary of test results as well as details and screenshots of each test as performed on the DUT. HDMI 2.0 compliance testing requires testing of four differential signals, in both single-ended and differential configurations. 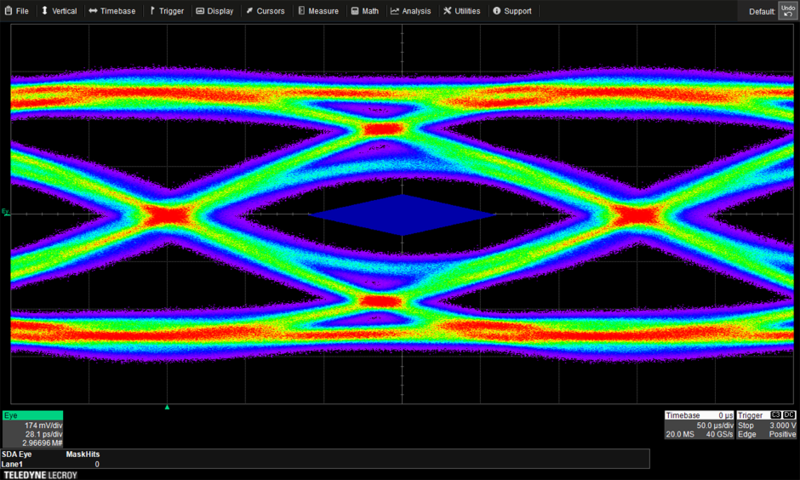 By its nature, this kind of testing necessitates moving and reconnecting cables between the device under test and the oscilloscope. QPHY-HDMI2 supports this type of “manual” operation, and walks the user through it in the most efficient way possible. But for those who wish to further shorten test times, increase automation and remove complexity, QPHY-HDMI2 also includes the ability to automatically change connection configurations using an RF switch matrix. 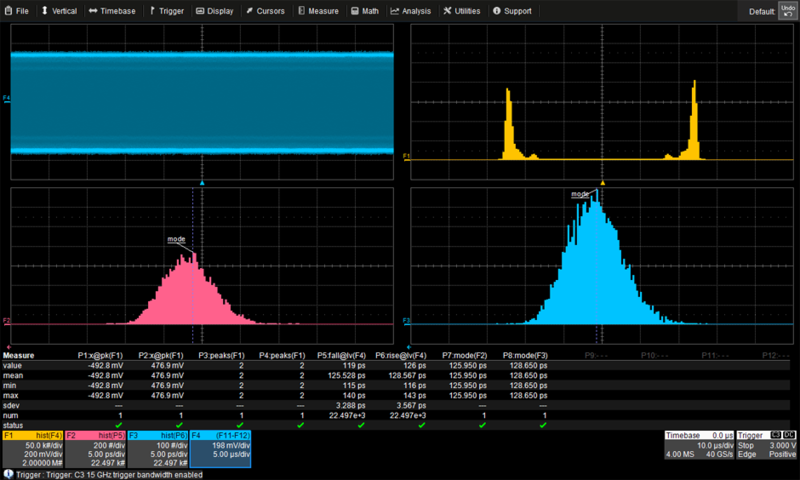 As HDMI signal rates increase to 6 Gb/s, the effects of test interconnects on the signals under test become more critical. In some cases, there is the possibility that an otherwise passing device may fail due to these effects. 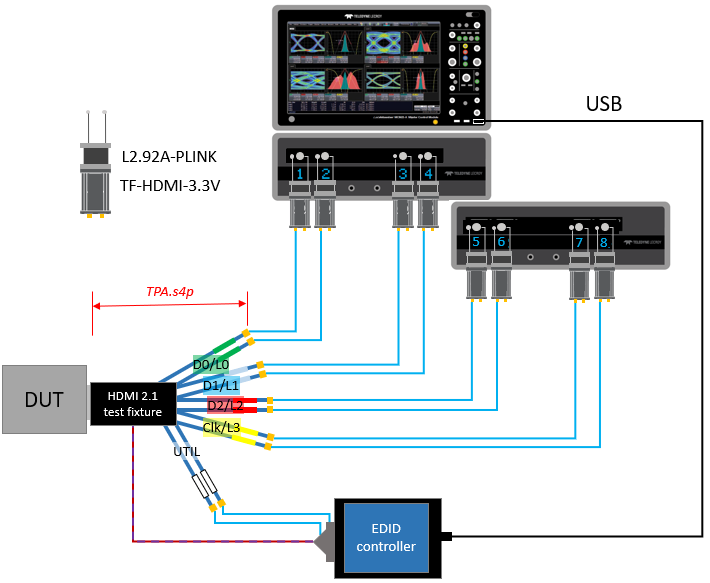 QPHY-HDMI2 includes the ability to de-embed fixtures and RF switches using Teledyne LeCroy’s Eye Doctor II advanced signal integrity toolkit, enabling testing of the DUT’s true performance margins.